OSCAR Wilde said ‘‘life imitates art far more than art imitates life’’, but a glance at the list of recent American film releases seems to confirm the opposite. Right now, Hollywood is seemingly obsessed with the war in the Middle East, with a spate of gritty new films based in or around the war zone. 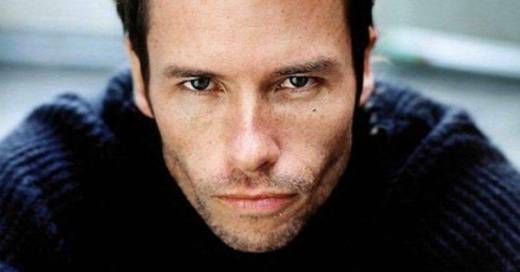 With starring roles in two of them – as an FBI agent in terrorist thriller Traitor, opening on Thursday, and a bomb specialist in Iraq war drama The Hurt Locker – it seems Australia’s Guy Pearce is making a habit of starring in war films lately. ‘‘It’s not my favourite subject either, funnily enough, not at all,’’ he says down the line from his home town of Melbourne. ‘‘And I don’t feel like you need to have died in a war in order to find drama. ‘‘I’m really satisfied when you can find great drama and great psychological analysis in the simplest, most mundane kind of worlds, you know – some guys that work down the road in the bank, for example, and you look into the machinations of their existence together, that can be exceptionally dramatic. In Traitor, Pearce plays FBI agent Roy Clayton, in charge of an investigation into a former US Army explosives expert and suspected terrorist, Samir Horn (Don Cheadle). The film follows the cat and mouse chase as Clayton tracks Horn across several countries in an attempt to link him to a number of terrorist bombings. It’s clear that this current trend in filmmaking has been borne of white, western society’s current preoccupation with all things middle eastern – art imitating life. But Pearce says he was drawn to the films for the same reason he is drawn to any new project – the underlying human story. ‘‘Yes, it’s topical, but funnily enough, these are not necessarily films that are proving to be hugely watched,’’ he says. ‘‘But I don’t really base what I do on whether it’s going to be watched by a lot of people or not. I really just respond to what I read. Traitor is a very human story. And I think that’s what’s important about the film is that you forget this world of war and big governments and other countries you don’t know anything about. "And words like ‘terrorism’ and religions you don’t know anything about, and in the middle of it we’re all just people running around trying to figure out what we’re doing, you know? Since his breakthrough role in 1997’s LA Confidential, Pearce has been something of a Hollywood anomaly – a strong, good-looking potential lead actor who shies away from blockbusters in favour of supporting roles and low-budget affairs. ‘‘It wasn’t a conscious decision,’’ he says. ‘‘I mean, it’s conscious that I don’t do things that I don’t like, and any sort of studio films that came my way probably weren’t great ones. Although with five films out this year (Pearce is also starring in crime drama Winged Creatures and Adam Sandler comedy Bedtime Stories, due in December) and another five potentially in the pipeline for 2009, the actor is possibly the most active he’s ever been. ‘‘It seems that way,’’ he says. "I mean, I worked in a bunch of different films last year and they’re all about to come out. So yeah, people are going to get sick of seeing me by Christmas time. The thing is, I’m looking for different things at different times. "Sometimes you need something that’s really innovative and other times you need things that are really straightforward and simple, and almost formulaic. "I think the fact that I did four really heavy films last year probably had a big influence on why I chose to do Bedtime Stories this year. But despite his obvious gift for comedy – how could anyone forget his sparkling turn as a drag queen in Priscilla, Queen of the Desert?– it seems Pearce is destined to remain a ‘‘serious’’ actor. He has forthcoming roles in postapocalyptic thriller The Road and Australian crime drama Animal Kingdom, plus a potential role in the yet to be confirmed new Fred Schepisi film Last Man, about the Vietnam war. And while he says working on Traitor and The Hurt Locker may not have changed his political views, Pearce admits he is experiencing a deeper sense of empathy with the troops in Iraq. ‘‘I think you probably feel a bit more connected to the soldiers in Iraq when you work on films like these because you’ve got soldiers from Iraq as advisors, and they’re standing in front of you saying ‘When an incendiary device goes off 100 yards away the bones in your shoulders will break’ and you’re talking to them going ‘OK, this is feeling very real for me’,’’ he says. First published in The Sunday Mail (IE).